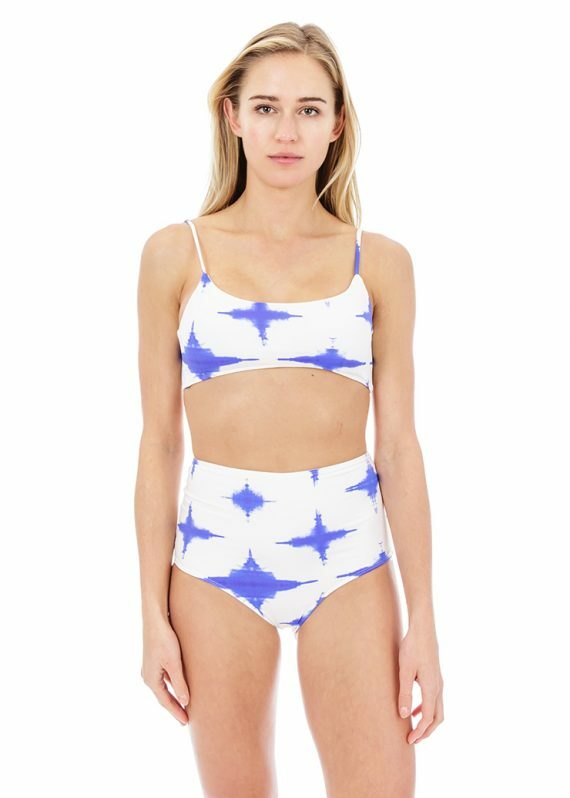 This Sunshine bikini top by Paper London is offered in a fresh, blue and white tie dye print. Featuring a scoop neck with fine spaghetti straps, the flattering top offers just enough support while still giving you an effortless stylish look. The bikini top is fastened by thick ties in the back. Made from Eco-friendly, sustainable, recycled products!